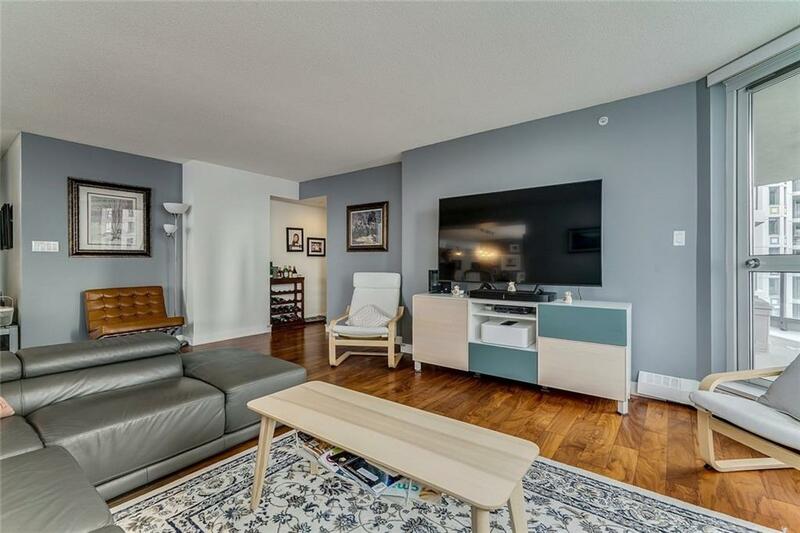 Enjoy living next to the Bow River in this well-cared for 2-BED + DEN unit. 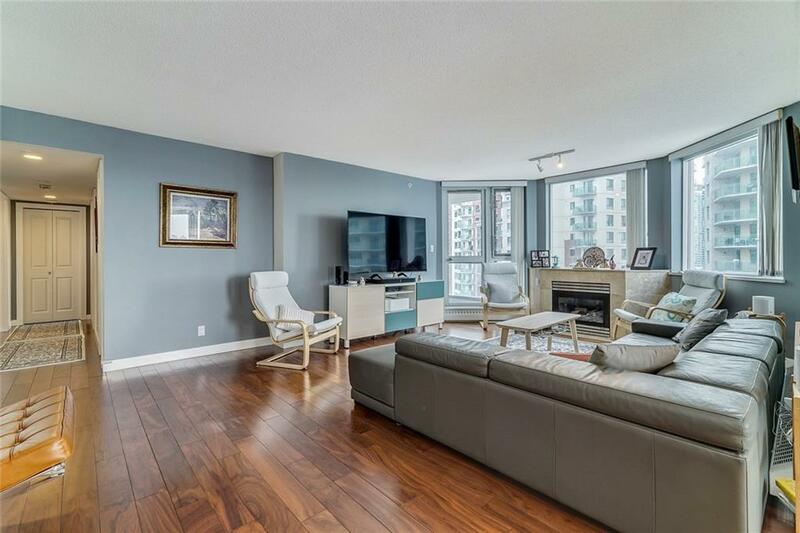 Located on the Southwest corner w/ TWO balconies & oversized windows throughout, this executive unit enjoys PANORAMIC RIVER & URBAN VIEWS & beautiful sunlight from morning until sundown, as well! With 1,400 sq ft of living space, there is plenty of room to entertain in the open-concept kitchen which features granite counters, tons of storage & open views to the living room & formal dining area. 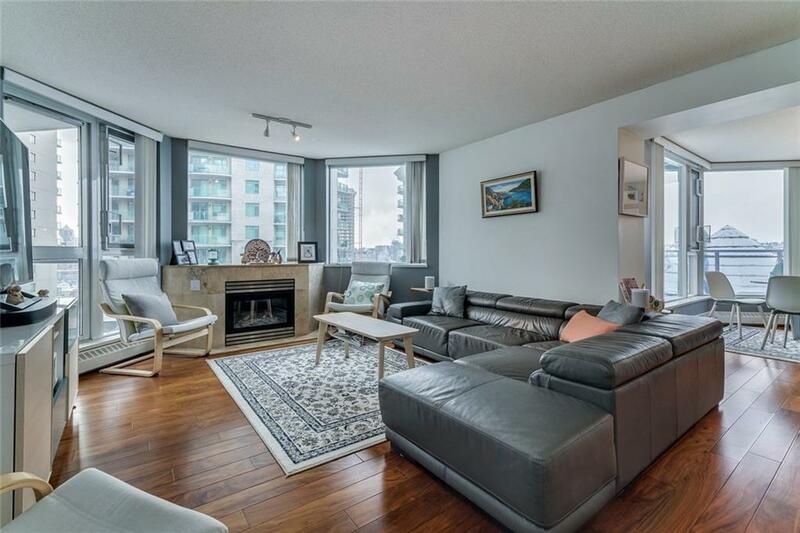 Tastefully updated w/ dark engineered hwd floors throughout, all bedrooms & bathrooms have been updated as well. Conveniently this unit has insuite laundry w/ newer H.E washer/dryer. 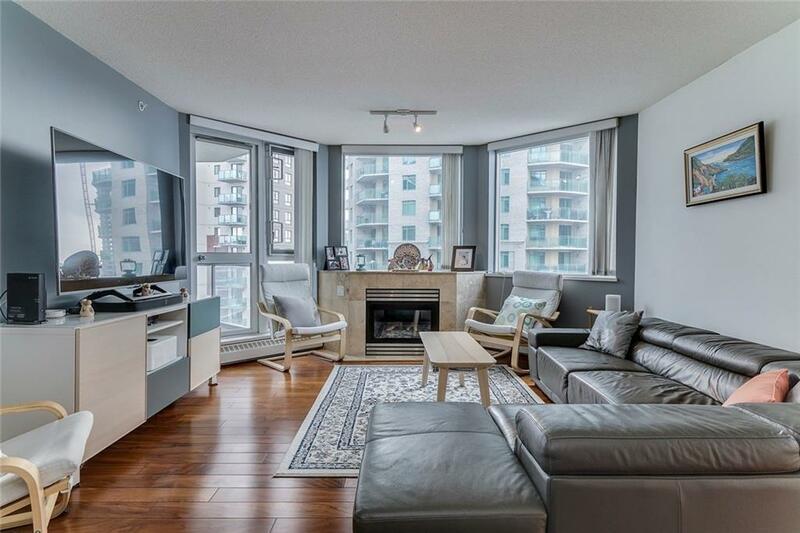 For those seeking the urban lifestyle, this location cant be beat! Go for beautiful walks along the river, only a block from LRT & walking distance to numerous restaurants & grocery stores. Building is well managed & maintained; main level has an exercise room, party room & hot tub. See website for full details.